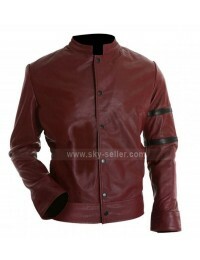 This maroon leather jacket is a perfectly flawless and appealing jacket to go for. This has been stitched to perfection keeping in mind the intricate styling and neatness. This bomber jacket has a front closure of zip provided for and there is a buttoned collar as well. The maroon color gives this jacket a different kind of look which is usually missing at many instances when it comes to the jackets. 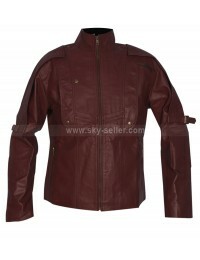 The inner of this biker jacket has been made from the viscose material and looks very refined and comforting as well.